I loved the Rainmaker, which I found full of quirky Southern characters. I just gave away my first edition hardback of The Pelican Brief in a Spring Cleaning blitz. Why? Why? But I love Jake Lassiter, too. Great stories and laugh-out-loud lines . I reckon I ought to return to Grisham - I abandoned him after, I think, his fourth novel - not sure why, really, because I liked the others very much. Just seeing that list of titles makes me feel like a real slacker. But I liked that final quote - it's a good one. I think I'll be revisiting Jake as well - love that guy! 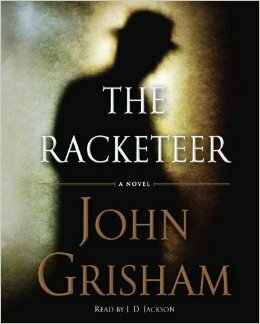 Always been interesting to me that critics don't give Grisham a lot of respect; his readers complain about sometimes wooden prose -- check the Amazon reviews -- but the man can tell a story. And that is what sells. 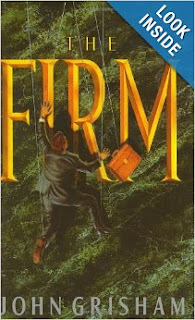 Paul L.
In 1991 I read THE FIRM and liked it enough. And then I was in NYC to see a tennis tournament in Madison Square Garden. Across the street was a tiny bookstore where I found A TIME TO KILL (after passing Virginia Wade, who was exiting as I was entering). 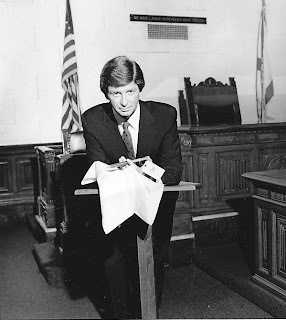 I was surprised I had never heard of it and even more surprised that it had been written before THE FIRM. I thought I'd give it a try. And that was when I became a Grisham fan. I couldn't believe that gem never was recognized until after THE FIRM.